I was at the Post Office last week when a man I didn’t know (a former TUSD counselor) came up and said he used to live across the street from my mom. He chatted about what a sweet lady she was, and how he always enjoyed their exchanges. She would never accept his ride – she had to get in her steps. It was nice to hear his reflections. Margo Susco works for Tucson Police Department. She dropped by the office last week with a bouquet of flowers, which are now sitting in our waiting area for everyone to enjoy. She just wanted to brighten our place up, and to share thoughts about the loss of parents. She has walked the journey too. She is a gift. Jan is a woman I see while out running on the Loop. She always has her ‘daughter’ Lara on a leash and out for a walk. Lara was a rescue, and Jan has taken her in and is helping resocialize her. It is always fun to stop, and exchange some pleasantries with Jan while petting Lara. The Loop is full of friendly people and pups, all who bring a smile. The next time you stop by the Ward 6 office, you will notice this new addition to the exterior of the building. Our Family Services is the community point of contact for getting your business or non-profit signed up as a Safe Place. It is for youth, ages 12-17 to drop in when they are in need. We, along with the other groups who have signed up with Our Family, will extend a welcome mat to the kid and get them connected with the Safe Place staff. Cindy Diaz is the woman who runs the program for Our Family. You can reach her at cdiaz@ourfamilyservices.org. She’ll set up an appointment with you, and come by to explain the program. When you are ready, she will get you signed up, get the signage installed, and our youth will have one more space to go if they are in need. You and your staff are not the ones delivering services to the youth. That’s for the trained folks at Our Family to do. You are the conduit, connecting the at-risk kid with someone who can help get them into the services they need. Every part of our city has kids who need a touch in their lives. If you’re interested in hearing more about the Safe Place program, please reach out to Cindy and let her come to your place and educate you about the needs, and how you can be a part of the solution. The past few weeks I have been sharing a variety of aspects related to the horse racing industry. We of course, have the non-profit Rillito track out on River and 1st Ave. Phoenix has the for-profit Turf Paradise. Prescott may soon have a newly remodeled Arizona Downs. The stories I have been sharing revolve around animal welfare, Off Track Betting, and this week I am adding the wild card that I believe really plays a role in much of what is going on, related to OTB and that industry: sports betting in general. The bottom line for me in the whole conversation is the welfare of the animals. In the past two months over at Santa Anita racetrack in California, 19 horses have died. The track is now shut down for investigation. I shared with you how Turf Paradise has a fatality rate of nearly three times the national average. They are not shut down. Nor have they adopted any of the recommended changes proposed by the Jockey Club. Turf Paradise has applied to open an Off Track Betting (OTB) parlor at a local Tucson bar – Midtown Tavern. It’s the same place we refused to license when the application included greyhound racing. We will be voting on the new, horse-only application soon. So what’s new at Turf Paradise? Strychnine is rat poison. Three horses from one owner tested positive. One-fourth of his horses tested positive for caffeine. Strychnine is listed as a Category A substance, meaning it is dangerous to the animal. Caffeine is a 2/B substance – a performance enhancer. So did Turf Paradise ban the guy for life? No. He got a $2,625 fine and a 180-day suspension. Oh, and you should know that in May of 2017, the same guy got virtually the same penalty for running horses who tested positive for cocaine. Oddly, both are called “lifetime” penalties. ARCI is one of the governing bodies that oversees and imposes penalties on horsemen who violate rules. Their guidelines for a trainer’s second ‘lifetime’ penalty (an oxymoron) are a minimum 3-year suspension and a minimum fine of $25,000. Turf Paradise won’t answer media inquiries as to why they slapped the guy’s wrist again. Why would he or any trainer use Strychnine? Over a century ago, it was thought to be a performance enhancer. In 1904, it was at the heart of one of the first Olympic track scandals. Unless Turf Paradise is living over 100 years in the past and thinks the stuff is safe, it should not be administered to their, or any other, horses. At the time, they reported that on average, 24 horses died each week at race tracks across the country. When the horse is not a ‘winner’, they often ended up in landfills. I was proud to lead the local ban on administering anabolic steroids to greyhounds. Only a small percentage of horses were ever tested. In the NY Times article it reported that between 2009 and 2012, U.S. tracks had been caught illegally drugging horses 3,800 times. Because of the lax testing, the figure vastly understated the real magnitude of the problem. It’s not just about enhancing performance. It’s about placing the animals at risk of being over-ridden, breaking down and having to be euthanized. Right now, we don’t know the cause of many of the deaths at race tracks that are being reported in the industry. Turf Paradise already has an OTB parlor in Pima County. They used to have many more, but as revenues dropped, they reduced their presence. Now they want to start back up again. That will be the vote we take, likely next month. What’s the lure now? Last week I mentioned their interest in acing Rillito Downs out of the ability to have OTB. That is the 140-day “live racing” rule they lobbied the state to impose. Only Turf Paradise is eligible to be licensed until that law is changed. Is the state looking at horse racing laws this term? Yes, but not that one. SB1163 began this term as a bill that simply corrected some technical language in a prostitution statute. It is now being used as a vehicle (called a “Striker”) to hide a much different goal. In this case, it is used to allow expanded sports betting by Native American tribes. Two years ago, the U.S. Supreme Court ruled that sports betting is legal. Since then, at least two states have passed laws allowing it. Arizona has not, yet. Gaming in Arizona is governed by Indian Gaming Compacts that currently prohibit casinos and gaming off the reservation. SB1163 may change that. At the very least, it is causing in-fighting among the Native American interests, and it’s causing internal discussions at the legislature on sports gambling generally. Ok, let me recap this whole section. Turf Paradise wants to do OTB at a local Tucson bar for races they stream. They have lobbied so that nobody else in the state can do OTB. In order to get a license in Tucson, the city has to approve it. Rillito Downs is prevented by the state from meeting the goal of 140 days of live racing required to run an OTB parlor. Turf Paradise is a major political donor of those who could, but who so far will not change that 140-day law. Turf Paradise wants to do Tucson OTB and lock up their monopoly on the industry. It is not too much of a stretch to suggest that Turf Paradise is more interested in the long term game (sports betting) than in their little local Tucson bar with the on average 11 customers they project on their application who’ll be betting horses. Remember I mentioned Arizona Downs up in Prescott. They are trying to get racing started in May of this year. A major investor in the track, and in that area of the state, is looking to enter this chess match. Their new owner has 120 acres of developable property up on the northeast edge of the Prescott Valley. They bought it out of federal bankruptcy court. They did not do that to sit on the sidelines and watch Turf Paradise steamroll everyone else in the state and grab all the OTB opportunities. There will be three horse tracks competing for the OTB market, but only one right now who qualifies. 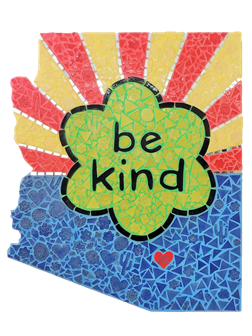 Our vote next month on the OTB for the little Tucson bar is about more than just that license. They are a pawn. Until we see the law changed to allow Rillito Downs – our local non-profit in this game of David against Goliath – a place at the table, with rules that allow them to compete for an opportunity to do OTB out at their own site, we should not let the big tracks come in and gobble up our local market. Especially knowing that the real prize – sports betting – is being discussed in a very non-transparent manner right now up in the state legislature. Just last week I was talking to both Melissa and to Crystal in our office about the obligations landlords have to both maintain their property to certain (very modest) levels, and also to ensure tenants’ living conditions are tolerable. We have the ability at the local level to enforce regulations related to landlord-tenant issues. That’s it. The entire bill is twelve lines long. The first seven simply identify which Chapter of the state statutes it falls under. Simply put, the state has been lobbied successfully by landlords, and is moving towards eliminating our local voice from quality of life issues in housing. The bill was passed by the House on a straight party line vote of 31-29. If you feel strongly about our ability to weigh in on landlord/tenant issues, let your state senator know. It is much easier to address problem bills before they are enacted, than to go back and try to unravel the damage after the fact. There are a few neighborhood events coming in March. I’m going to give some details about each, and combine them together into this week’s local Tucson section. First up is Garden District. Coming this Saturday, March 9th, is their annual multi-home yard sale. This year they will have over 25 homes participating. To see a map of where each sale is going to be happening, go to their neighborhood website at www.thegardendistrict.org. They’ll continue to update it throughout the week so late Friday and early Saturday, you can see the up to the minute sites. There’ll also be directional signs around Pima and Columbus on the day of the event. Stop by and find your treasure all day Saturday. Next is Catalina Vista. On Saturday, March 23rd, they’re hosting a block party. The city has changed the rules related to street closures and permits, with the goal being to encourage neighborhood community building. Catalina Vista took us up on the suggestion. The party will take place at 2305 E. Edison. That’s located at Wilson & Edison. It will run from 4:30 until 6:30 in the evening. They are asking people to bring goodies according to an alphabet plan: if your last name ends in A-F, bring appetizers; for G-K, salads; L-R, main courses; S-V, dessert; and W-Z, bring either water or non-alcoholic drinks. In order to let the organizers know what to expect, please RSVP to mkishaz@aol.com. Coming the following day, Palo Verde Park neighborhood is hosting their first ever Park Fest. It is modeled after Porch Fest events that other neighborhoods have hosted. They’ll have a combination of music and food trucks. The event will run from 3pm until 6pm at the Palo Verde Park. That’s located just south of Broadway, between Kolb and Wilmot. It is in Paul Cunningham’s Ward, so expect to see him at one or two of the food trucks with his kids and his bride. To get more information on their event go to http://paloverdeparkneighborhood.com/parkfest2019/. And back in Ward 6, Highland Vista is hosting their 2019 Porch Fest on Sunday, March 31st. It’ll run from 2pm until 5pm. Aside from it being in Ward 6, I’m partial to this one because they’ve invited me to play a set starting at 2pm. Along with the four porches, each with two sets of musicians, there will be a kids’ stage and other activities in the park. To find out more about the Highland Vista event, use their Facebook page at https://www.facebook.com/events/2230569313655957/ . Spring brings great weather in Tucson. Each of these neighborhood events brings us together. Given the divisive rhetoric we hear blaring through the media, we can use these places to get away from all of that. I hope you can participate in one, or some of these. This could also qualify for a local Tucson item, but it deserves stand-alone mention. Congratulations to both Barrio Bread and to El Charro for being named as finalists in a national food industry competition. Barrio Bread is located in the Broadway Village. I always see lines out the door when I run past in the morning. They are up for Most Outstanding Bakery. El Charro is located in the heart of downtown. They are finalists for Most Outstanding Restaurant. The five finalists in this year’s competition will be announced on March 27th. The final awards ceremony will take place in New York City on April 26th. Last year El Guero Canelo won a James Beard Award for being an “American Classic”. We are all pulling for Barrio Bread and El Charro to keep that streak going. This is a photo of the firefighting foam that 3M produced, and sold, to military bases all over the country. It is the major source of the water contamination we have out by Davis Monthan. Last week our lawsuit against 3M began with a hearing that took place in South Carolina. It included nearly 80 litigants. The point of the hearing was to begin to agree on how the cases should move forward. When the military ‘disposed of’ the foam out at DM, one of the ways they did so was to dump it into the sewer system. They also just hosed it into the soil. It does not take a hydrologist to figure out where it would end up, but this graphic makes it easy to understand. Our attorneys have access to internal 3M records in which it is clear that 3M had guilty knowledge of the effects of their PFC products decades ago. They continued using it, so these charts come as no surprise. They highlight which groups had the greatest exposure to PFC contamination. Both 3M and DuPont worked heavily with multiple products and employees of both companies have high blood contamination levels due to regular exposure. Now it has now made its way into our central well system. This map shows both where Tucson Water is taking measurements, and where we have had to shut down wells. In May 2016, the EPA lowered the health advisory level for PFC’s from 400 parts per trillion down to 70ppt. That is simply a health advisory level. They have not yet assigned a legal maximum contamination level (MCL). An MCL could kick-start access to federal Superfund mitigation dollars. A toxicology report that came out last year suggests an MCL of 18ppt. That is what Tucson Water uses as a self-imposed safety level. You can see from the map insert that if a well has detected levels above 70ppt, we shut it down. Similarly, we place wells with levels between 18 and 70 into ‘stand-by’ status. They are only turned on if needed, such as during maintenance of other parts of the system. In addition, we are treating for PFC’s at our treatment facility. Two weeks ago, we completed upgrades to the filters at that plant. The test results for the PFC contamination in the water coming out of the treatment plane is again well under even the 18ppt. The state of Minnesota has set a self-mandated advisory level for PFC’s at 35ppt. Remember, 3M stands for Minnesota Mining and Manufacturing. Its home base is in Minnesota, and is where 3M paid an $850M settlement for PFC contamination. Now other states have self-imposed even more strict levels. Vermont has set a 20ppt limit, and last year New Jersey set their level at 13ppt. Not surprisingly, the state of Arizona legislature has not reacted to our litigation or the contamination found by DM, nor have they ordered testing around Luke or Ft. Huachuca Air Force bases. They are standing on the sidelines while the Tucson city council takes the lead on this environmental issue. Credit is due to our Tucson Water management and field workers. It cost us over $700K to change out the carbon filters at the treatment plant. That money should be repaid, along with significant other amounts for lost well capacity, treating, monitoring and managing the contamination caused by 3M and others. We are not serving contaminated water, but we are spending lots of money to keep it that way. I am hopeful the litigation starts to get some legs sooner than later. Consumers all over the country are owed nothing less. Shame on the feds and 3M for not stepping up without having to be compelled by legal action. While I am on the topic of the feds standing by while others do the lift, the issue of migrant families being dropped off at the monastery continues as a local humanitarian item. I drop in on them several times each week - both to monitor how they are taking care of the building (a commitment I made to Ross when we agreed on this temporary use) and to watch, and be amazed, at how compassionate the volunteers are handling the many needs we see. The families come in bunches, with the quantities and timing governed by ICE. If they constitute a threat to any of us in the building, that is news to us. The need for donations continues. A day at the monastery can become quite hectic if ICE drops off multiple families. For that reason, and to keep strangers from just wandering into the building, we at the W6 office are continuing to serve as a donation center. We can use dry food goods, blankets, backpacks, new underclothes and socks, and games/toys for kids as they board a bus for a 2-3 day trip. The conversation is happening among the non-profits, churches, and others about how to address the needs once the monastery rezoning is finalized. That meter is running. For now though, please consider continuing to support this community-based work. That involvement shows the heart of Tucson. Based on the overwhelming voter support of Prop 101, it is clear that public safety and roads are huge priorities, as they should be. Both are in our Charter as local government responsibilities. On the public safety side, we continue to embrace that importance, both in terms of pay, and in terms of upgrades to facilities and equipment. The latter was what Prop 101 funded. The former is what we are doing in our budget process. The result of both is a continuing high level of success in recruiting new police officers. This Wednesday the Southern Arizona Law Enforcement Training Center is welcoming another 47 graduates. Of that total, 30 are TPD assignments. The event begins at 2pm. The ceremony will take place in the Grand Ballroom at the TCC. The Ballroom has limited seating capacity. For that reason, please call Linda MacGregor, our SALETC program coordinator for this event and she will let you know if there is still room. Her number is 837.7953. These 30 new recruits do not get us across the finish line in terms of staffing needs, but they get us closer. Recruiting continues. We are making good progress. The other part of Prop 101 is roads. While the snow and rains have been nice, the weather is playing havoc with our ability to keep up with the needed repairs. TDOT has well over 300 open work requests for pothole repair, and that is on top of the on-going Prop 101 work that is happening. I will add another contributing factor. In many of our neighborhoods there is utility work going on. My experience is that the workers are all genuinely friendly and engaging. However, my experience is that their heavy equipment is tearing up our already compromised residential streets in ways that would not be the case but for their presence. Beginning this week, TDOT is adding more asphalt crews. They will be working ten hours per day, Monday through Friday in an effort to address the growing needs. You may have seen some city streets workers out the past couple of weekends, too. We are doing what we can to catch up after having seen that perfect storm of changing heat extremes, rain, added heavy equipment, and already compromised street conditions. Please drive cautiously when you are around the workers. If you have potholes to report, do not hesitate to call us at the W6 office, or contact TDOT at 791.3154, or email tdotconcerns@tucsonaz.gov. The Tucson Residents for Responsive Government (TRRG) is hosting another community update program in the Ward 6 community room. This one will touch on the topic of Code Enforcement. However, this time the presentation will also include how the court process affects our ability to bring code violations to a successful end. There will be a panel of speakers. That panel will include Judge Thaddeus Semon. He oversees our Code Enforcement cases at city court. Joining him will be our Environmental Services Director Carlos de la Torre, along with some of his key people; Pat Tapia, Cristina Polsgrove, Laurie Pumphrey, and Supervisor Martin Romero. The event will take place from 6pm until 7:30pm on March 25th. It is a continuation of the conversation that began over a year ago, when I teamed with TRRG in bringing the Mesa code people down for a presentation. Code enforcement joins public safety and roads as a quality of life issue for residents throughout the region. Come and join the discussion on the 25th. I am the one who said we could meet our 238,000 mile walking, running, biking goal by St. Patrick’s Day. That is now two weeks away. It looks like we may fall a little short of reaching the moon by then. There is still time, but we will need existing participants to step it up, and we will need new people to join. We are hitting about 5,000 miles per week. That needs to double for the next two weeks. If you are already doing the Moon Walk, then recruit friends. If you are not, join. You can take it for two weeks. Trying it might even lead to some healthy lifestyle changes. 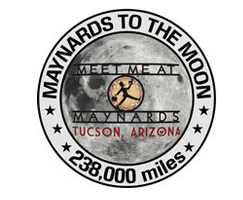 Here is the up to date mileage total, and here is the link for you to sign up, www.meetmeatmaynards.com. Join us on the Hotel Congress Plaza for Tucson’s biggest Mardi Gras celebration! We’ll have delicious food and drink specials, live entertainment, Arizona’s largest King Cake, and more! Award-winning actor/director/playwright Frank Ferrante recreates his PBS, New York and London acclaimed portrayal of legendary comedian Groucho Marx in this fast paced 90 minutes of hilarity. The two-act comedy of the best Groucho one-liners, anecdotes and songs provides insights into Groucho and his comedic Brothers who are credited with changing the face of film comedy. The audience literally becomes part of the show as Ferrante, accompanied by his onstage pianist, portrays the young Groucho of stage and film as he ad-libs his way throughout the performance, capturing the essence of one of America’s greatest comedians in grand Groucho style. The show is perfect for all-ages!